With more than two hundred issues and counting, Stan Sakai's Usagi Yojimbo is among comics' most monumental achievements. To celebrate the rabbit ronin's thirtieth anniversary, Dark Horse proudly presents Miyamoto Usagi's epic trek along the warrior's path in a new series of deluxe compilations. 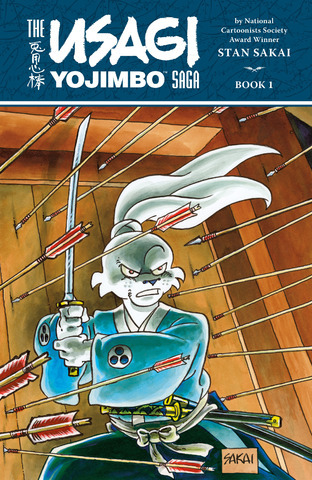 In this first volume, Usagi protects a village from a band of assassins, reluctantly engages in a duel for blood money, hunts a gangster who has stolen his swords, and more. This is a signed and numbered hardcover edition, limited to 900 copies. Collects the following Usagi trades: Book 8: Shades of Death, Book 9: Daisho, Book 10: The Brink of Life and Death.